Summer is here and I’m sure many of you are making plans to travel this summer. Along with the fun of traveling, comes the woes, too. 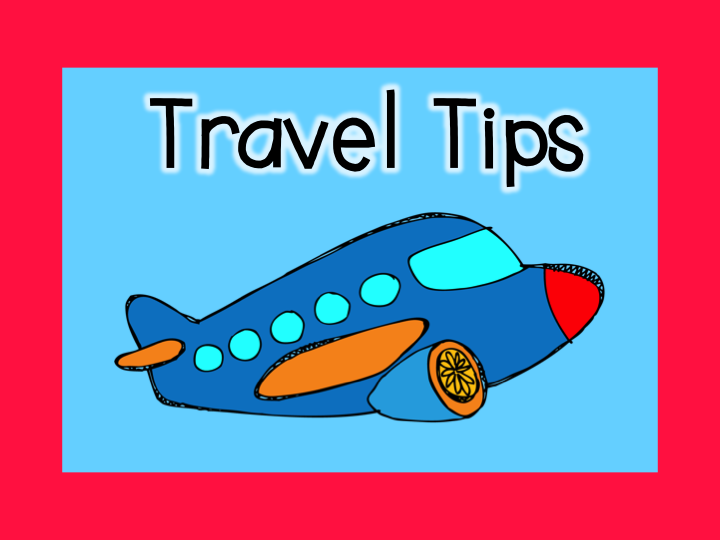 I have been compiling a list of travel tips. colorful nametag, sticker, strap, etc. away with a suitcase, check the nametag. Make sure you did in fact choose the correct little back one! check in if you check in and print your boarding passes at home. saves valuable space so other people can begin getting their stuff ready. surroundings and how it affects others. level by not impeding the flow of traffic. night flight . . . say after 10 p.m.
seat LITERALLY touched my knees. UGH! I even took a picture to prove it because I am writing to Hawaiian Airlines. Granted! 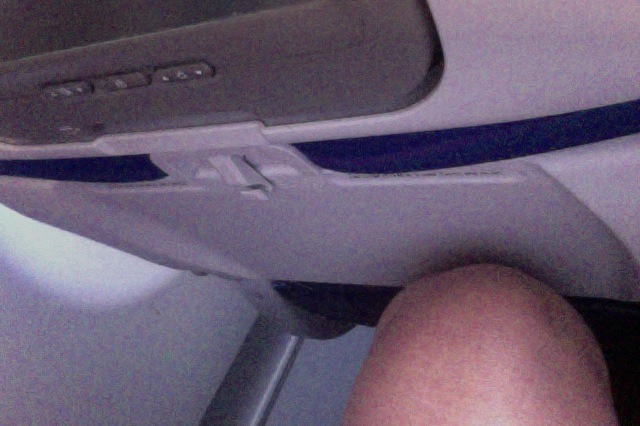 My knees were crossed, but their seats recline too far if goes all the way back to the next person’s knees. countless times with her and I don’t think she ever cried one time. I give her car seat the credit! Remember the science lesson about how sounds travel? Well, this applies to hotels, too. When you are in the hallways your voice should be very low. This is not the time to let your kids run up and down the hall to expend their energy. If you need to be somewhere at a certain time, you will want to make sure that you wake up at the right time. You have two options. You can either call the front desk and ask them to give you a wake up call or you can set the alarm clock. TIP: Make sure you turn OFF the alarm clock. On my last trip, the people next door left their alarm clock on and left their room. Three days in a row their alarm clock’s “ding, ding, ding” went on forever (or so it seemed) until an employee could come up and turn it off for them. By that time, the neighbors on both side of this room were awake and not very happy. If you find alarm clocks challenging, bring your own. You can find inexpensive travel alarm clocks that are small at many retailers. Do you want to make your summer vacation more educational for your children? I originally made the packet below to give to my students that went on vacations during the school year. It would also work great for summer vacations. Thank you for your awesome travel tips! I am taking my five kids to Vermont, then on a cruise, and then to Italy for 20 days this summer so these tips will certainly come in handy! While I mostly agree with your tips, I want to add that we cannot control other. I am a mother of three, the youngest being three. I till remember what it felt like to have babies and toddler and am much more tolerant of other traveling families. And the reclining plane seat? I'm okay with others reclining their seats. It doesn't typically recline so far as to actually reach me. Besides, what am I going to do with that pace? However, if it was actually touching my legs, that would be more of an issue.